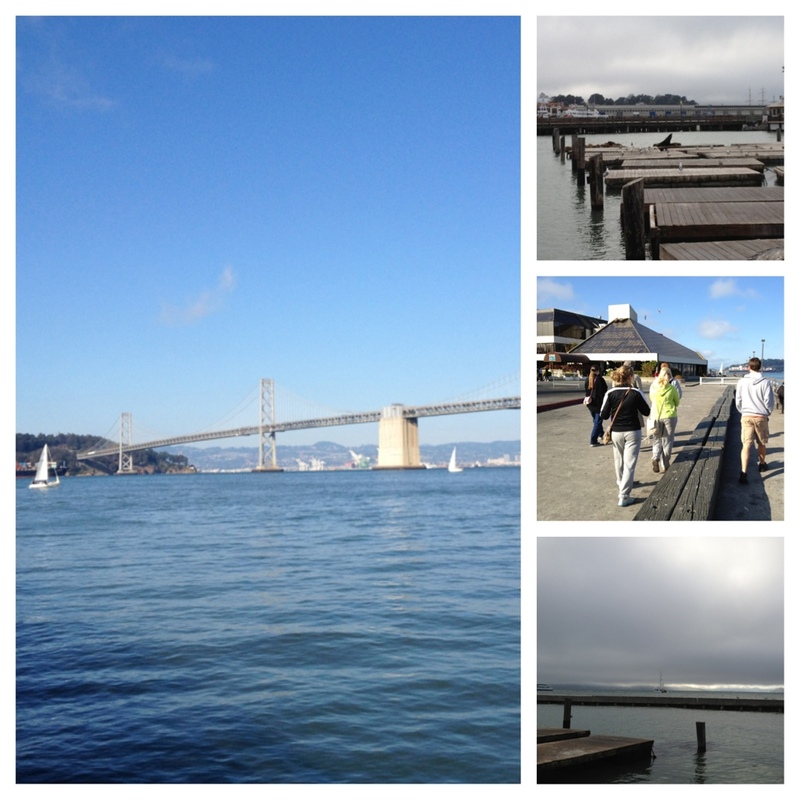 First morning in San Francisco. The breakfast at the Adelaide Hostel rivals the breakfast at the monastery, let’s start there. A big pot full of homemade oatmeal with fruit. Not to mention the overflowing breadbaskets and giant jars of jellies and nutella. And the chorus of languages spoken between bites. 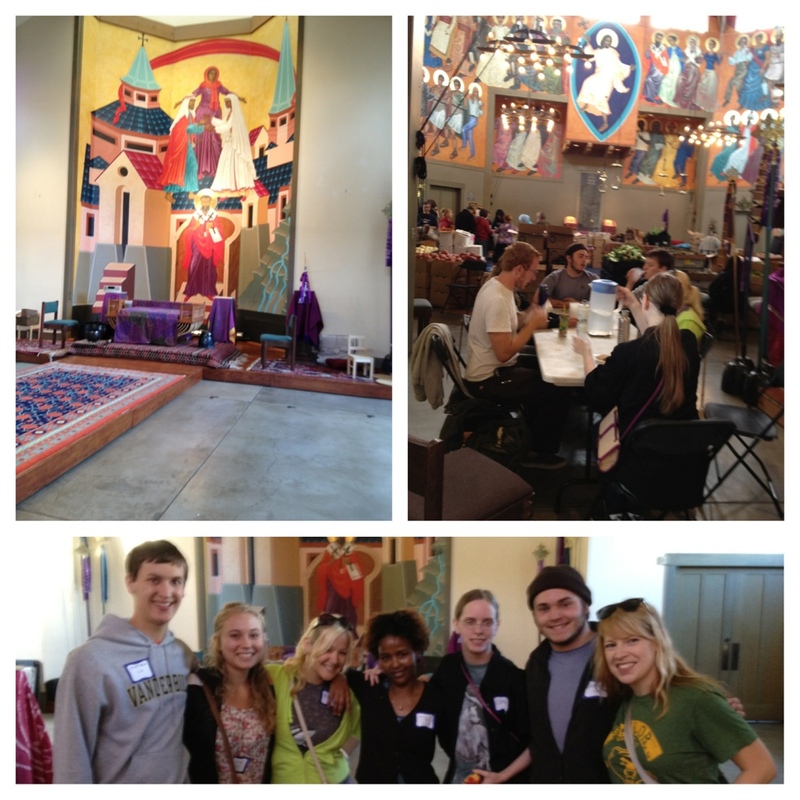 Our main activity today was serving alongside the regular volunteers at St. Gregory’s food pantry (started by Sara Miles). I tried to give out bags of cereal (it was an unpopular item) next to a man who gave out loaves of bread from local bakeries. He spoke at least seven languages and moved between them easier than most of us speak English. We also met a young woman from Ethiopia who moved to the US on 9/11/01. After departing there we caught a few minutes of down time at the hostel before embarking to the piers via cable car. 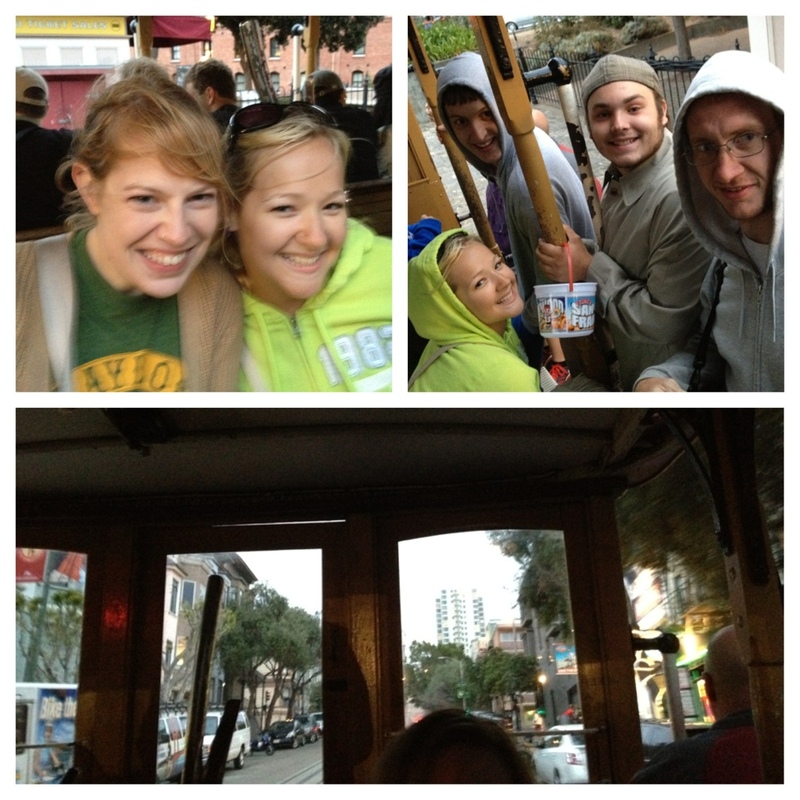 We ate on Pier 39 and rode the historic cable car up and down hills back to our neck of the woods. One of the most disorienting things we’ve noticed so far is that it is July and most people (natives included) are walking around in jackets, scarves, even gloves. Y’all, it is chilly. I, personally am thankful for all the walking. Oh, and we stopped for a nightcap of creeps before turning in for the night. Yum.